Exchange rate between body and soul. And just like that, Italy gives birth to a cinematic icon. Clint Eastwood becomes The Man with No Name, Ennio Morricone immortalizes the trumpet and the harmonica, and Sergio Leone creates what would come to (re)define an entire genre: the Spaghetti Western. There's something so effortlessly cool about the whole film that it feels like it couldn't help but become an instant classic. All it took to muster this creative energy was for someone else to do it first. 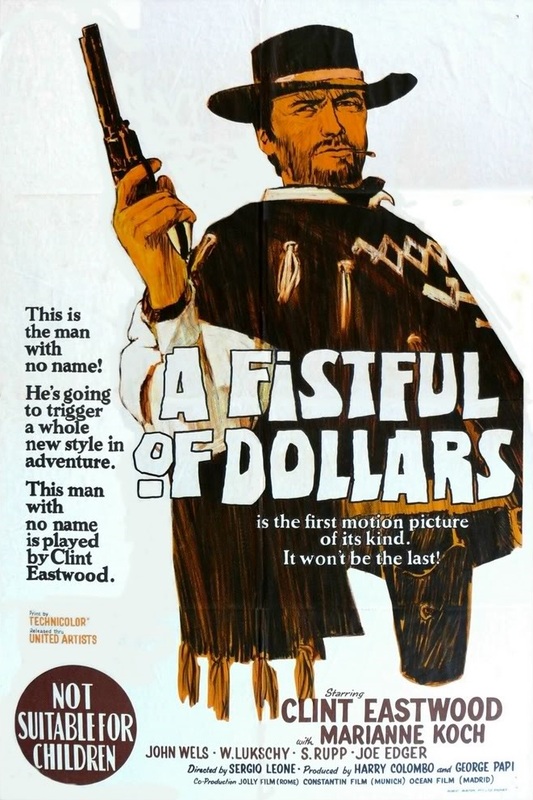 I knew before I watched A Fistful of Dollars for the first time that it was largely influenced by Akira Kurosawa's classic samurai action/comedy Yojimbo, but I didn't realize that it was so much a direct remake that Toho successfully sued the film's production company for copyright infringement. It's not just the themes or the broad arc of the narrative; almost every character and story beat is taken wholesale from Kurosawa's film. And yet there was still something magical about seeing the same story transposed onto such a different world. Whereas Yojimbo was about a wandering samurai who represented the state of postwar Japan, A Fistful of Dollars was a more self-contained, purely cinematic project by Leone only intended to breathe new life into the Western genre (rather than comment on Italian nationality). This was actually my first spaghetti western ever, so I figured I should start at something like the beginning. I'm glad I did, because I ended up enjoying this immensely and now I've developed a desire to explore the rest. Maybe it's just my love for Yojimbo bleeding through, but if this is a rip-off then it's a high-art rip-off. The soundtrack is energetic and serves the story perfectly, and the cinematography is gorgeous. 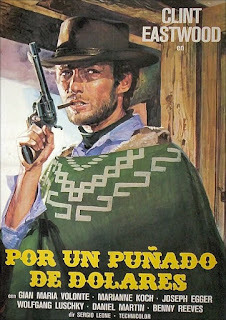 Clint Eastwood's Man with No Name is unforgettable. There also seems to be a sense of humor to everything that feels distinctly Italian (reminds me of Mario Bava). As usual with Italian cinema in this period the ADR is painfully obvious, and if you can't get behind the excessive stylization of the performances then you'll probably have a hard time, but for my money this one still manages the impressive feat of walking side by side one of the greatest films ever made and not looking too bad by comparison. Junesploitation: Day 15 – Spaghetti Westerns!